Today is the first day of 2016 and I could not be happier that it is finally 2016. For Dad, 2015 was a mixed bag of good, bad and absolutely ugly. I can honestly say that regardless of the issues I faced (and I won’t go into them here), I forged ahead and dealt with the issues and tried to maintain some semblance of sanity in my life.. It was definitely not easy.. but I tried. The start of every new year is an opportunity to start anew. Do something good! Both for yourself and the society you live in! Yes it may seem like a daunting task, but even if you do one thing, you can make difference! At the start of every new year. Your prior year’s slate (and baggage) is (unofficially) cleared and you are starting a new year with a blank slate. Of course you will have baggage from the prior year that (ahem) that you will bring forward, but deal with each peace of baggage on a one by one basis.. but on the whole starting a new year gives you the opportunity to improve yourself emotionally, physically and at the financial level. I know that I will be taking this opportunity to “live in the moment, and look forward”. I know I have a tendency to look back and be retrospective, but now I’m going to focus on the positive things in my life and build on that. How about you? Look at the calendar below and what do you see? Well what I see is the opportunity to look forward and be a happier person. I also see this year as an opportunity to achieve a sense of inner peace.. This is something that everyone wants. How do you get to this point? Well look around and make a note of all the good things that exist in your life! I have amazing friends – My friends are always there for me. In my darkest hours, I can turn to my friends for support and they are they when I need them.. Which is of course quite often. I have great kids – I’m so proud of my kids, they can be annoying at times, but without my kids, my life is empty. They amuse me, they keep me on my toes and they challenge me to be a better father. Tennis – For me being “tennis fanatic” allows me to get to a state of Zen and when I’m on the court, all I see is the ball and my slate is clean and I’m to focus just on the ball and winning the next point! Walking – This year I became an avid walker. I walked 3 to 4 miles almost every day.. and I found that when I was walking and listening to music, I was in a refresh mode for the day..
Good Food– I continue search out good food in NJ.. yes.. I Yelp a lot! So take the first day to not just make resolution that you know you cannot keep, but take the new year as an opportunity to find inner peace and be grateful for what you have! Remember happiness is what you make of it. Always look within your self for self actualization. Don’t get me wrong.. Dad is not always successful in being happy, but in retrospect, happiness is a state of mind! For every month below, choose one week/day, that you will use to make your self happy. Are you addicted to Netflix and/or Amazon.. here’s a site you can use to find out the latest streaming available on both services! I’m a fan of both Netflix and Amazon video streaming and I struggle to find the one movie or TV show that I must watch.. Well I was reading one of my on-line papers and I saw this site Instant Watcher and I was really impressed! I added it to my side links for Netflix as well. As noted in Tech Crunch: Netflix in November of 2014 removed support for some of their API’s which allowed sites to filter and see popular titles, so this site is one that is still supported with Netflix API’s. As I always say.. You can never get too much of streaming.. especially when you have your own man-cave! In my constant hunt for humor.. as I think the world is pretty amusing.. I was walking around at work and I saw a picture from the Laugh It Out site. Do you have any sites that are funny? Feel free to post them in response to this posting. I was talking to a friend of mine a few weeks ago and we were discussing the issue of morality. Of course I had an opinion (as I always do) about this, and I came up with two words that describe the way I think. 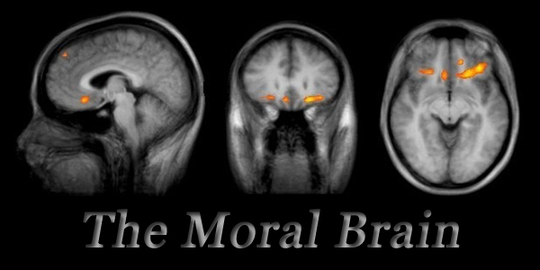 Irrational Morality – My definition of this is when you do the right thing for the wrong reason. This could mean doing something for your spouse, children, friends for the wrong reason.. Now what exactly does that mean? Let’s talk of a few examples and of course you are free to chime in with your feedback if you have any. If you are single you stop seeing someone because they are too good for you. The person you are seeing is perfect and loves you unconditionally. Even with your flaws and questionable emotional, or psychological patterns of behavior. Getting married for the sake of getting married. You know you are marrying the wrong person, but you say to yourself: “There does not seem to be anyone else better, so might as well settle for the person with you are with“. A friend of mine related this to me.. and this guy was married for over 20 years! I know this guy better than anyone and he’s one of the most balanced guys I know. Do you have any examples of irrational morality? If you do I’d like to hear about it. Why spend $13 when you can see “The Interview” this weekend on Netflix? So have you seen “The Interview”? I know I have not, I just didn’t expect to see it available so soon on Netflix. So I’m happy. I’m not wasting $13 to see “The Interview”. It’s being released this weekend on Netflix. So now I can enjoy this comedy at home and see what the whole fuss” is about.. Gotta admit this movie got a lot of free publicity and earnings with the North Korea situation. Proves again that a dictator can get free global publicity just by being himself. Maybe we should have sent Dennis Rodman to North Korea to stabilize the situation.. He seems to be a pal of North Korean leader Kim Jong Un. Yeah we should start a position to make Dennis Rodman our ambassador to North Korea! We can then have celebrity basketball games everytime Kim Jong Un creates controversy! Netflix Roulette saves time in your Netflix selection process. Yes I do have my personal list, but I’m always hunting for something that will catch my interest. Today I came across this site called Netflix Roulette. This is great because all I do is press spin and a selection is randomly made for me. It’s such a simple site.. I’m going to put it in my favorites! Of course what that means is that my Instant Queue will never become empty and I’ll never get to my Instant Queue. It also means, I can’t waste at least 15 minutes trying to find a movie or TV show that I absolutely have to watch and don’t know the name of it. What am I going to do with all this time I just got back? Now I’m looking for a site that will tell me what is NEW on a weekly basis on NetFlix so I can flip through that and waste time there! 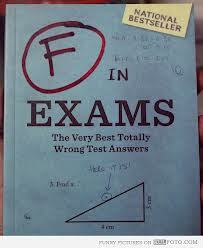 Now I just need this to be available as an app for my iPhone..
How to get an F in tests.. Answer this way. My Brother shared this link with me today and it truly shows the uniqueness of how kids answer test questions.. Some of the answers are truly off the wall. Some would venture to say they are very very clever. Even if you have no clue to what the answer is, these kids answered with their unique brand of logic.. When a child’s answer to a question on a quiz or test is incorrect but clever, should they get credit for it? Here are 30 clever test answers that will make you wonder what’s better – the correct answer or the answer the kids gave. I wish I knew some of these answers when I was in school, perhaps I’d have done better with my grades..